ECG waves, their meaning and normal duration. 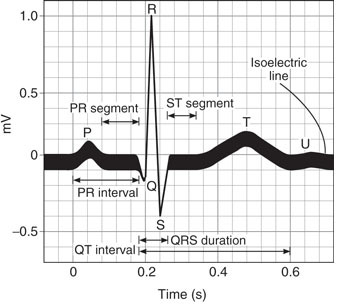 2) PR segment - end of P wave till beginning of QRS complex i.e. time taken between atrial and ventricular activation.